22-Jan-17 Facade Mouldings on Cintra House, Cambridge. Beautiful collage and I love the details! Terrific collage...love this series of shots! There's not only a lot of work in those faces, but the artist was obviously very talented. I do love this! Beautiful images with lots of detail. 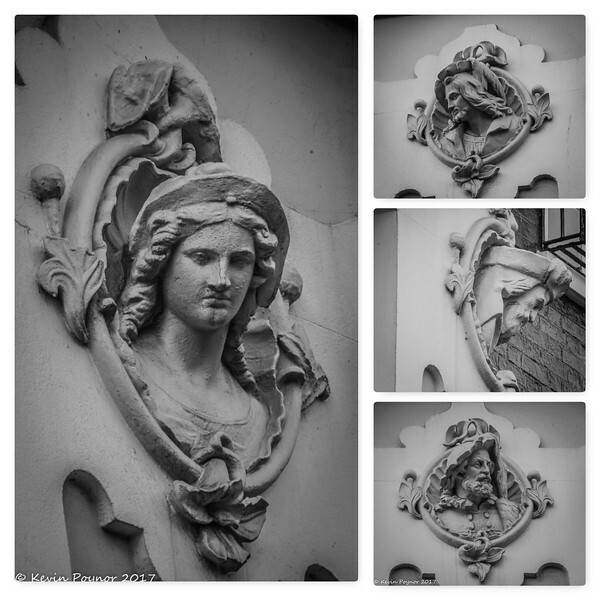 Well done B&W collage -- great textures provided by Father Time on those mouldings.